With a career change in the last year, I've been doing a wardrobe overhaul. My silk skirts just don't work at work. And with the vicious heat, any skirt that needs Spankx is out of the picture. I need more comfy cotton skirts. Ive just started a new job as well so i need to get some appropriate tops for it and ones that dont hold the heat in either. 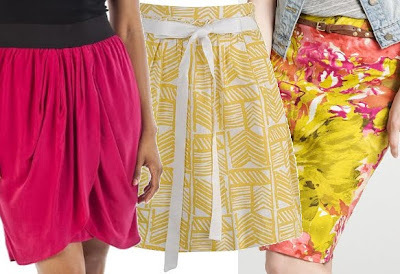 Id say try Zara or H+M for skirts. Sadly, I have neither of those in northern Indiana.